Cadillac originally had plans to send the XTS nameplate off to pasture, but with a change of heart, here we are — this is the 2018 Cadillac XTS. We originally reported on the updates and changes to the 2018 XTS two days ago before Cadillac released information about the model today. The 2018 model year brings a fairly extensive refresh to the full-size sedan, which remains Cadillac’s sole front-wheel drive sedan offering; all-wheel drive is optional. The most prominent changes are in the styling department, as the XTS has a new look to bring it in line with current Cadillac cars and crossovers. A new front fascia sports a smoother look with new headlights and grille, while the rear gets a new fascia and taillights for a more premium appearance. Cadillac says much of the design is taken from the CT6 sedan, the brand’s self-described “prestige” sedan. What else is new? Cadillac engineers have revised the chassis and tire designs to provide a more comfortable and quieter ride. Standard is a set of 19-inch wheels, while 20-inch wheels are optional for an extra dose of bling. 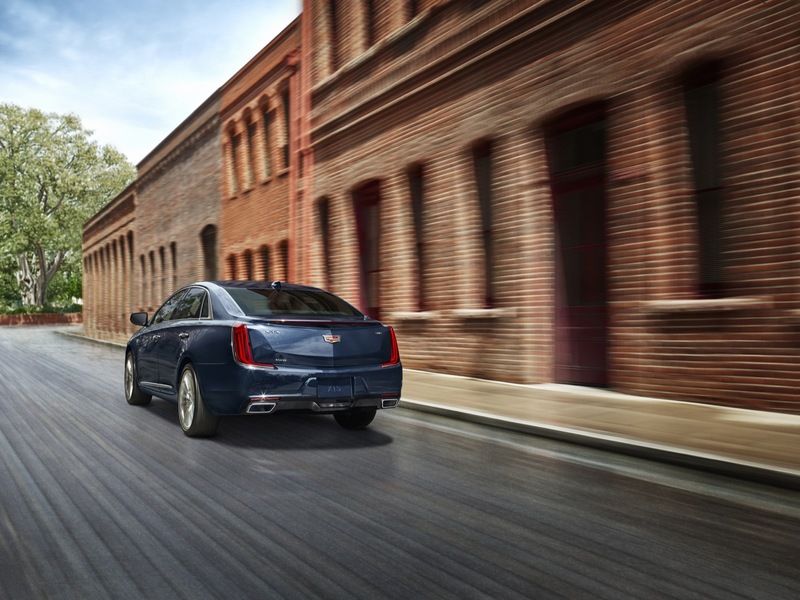 As for the chassis, the XTS can continue to be offered with Magnetic Ride Control and Self-Leveling Air Springs in the rear, but both features are removed from the two lower (XTS/base and Luxury) trim levels. Those hoping for new engines or transmissions will be disappointed to find out that the 2018 XTS does not see any updates to its powertrain: the standard engine remains the 3.6-liter V6 LFX — GM’s last-generation V6 — producing 304 horsepower and 264 pound-feet of torque, while Cadillac XTS V-Sport continues to be powered by the 3.6-liter twin-turbo V6 LF3 motor making 410 ponies and 369 pound-feet of torque from 1,500 to 5,600 RPM. Both models are mated to six-speed automatic transmissions. Speaking of the XTS V-Sport: the high-performance model can now only be had in the Platinum trim level. Previously, the V-Sport could also be had with the less expensive Premium Luxury trim. Platinum models also continue to feature a suede headliner and premium wood trim on the steering wheel, console, center stack, instrument panel and door panels. Like the CTS sedan, the 2018 XTS will also come with the latest iteration of CUE. Not only is the new system faster and has a revised interface, but it also features cloud-based technology to follow the driver from Cadillac to Cadillac. It also learns as it goes to adjust to a driver’s connectivity needs. Safety features are abundant as well with the available Driver Awareness Package. Available on the Luxury trim and standard on higher trims, it now adds two new features — Following Distance Indicator and Low Speed Forward Automatic Braking. The latter is replaced with Forward/Reverse Automatic Braking when Driver Assist Package is ordered. The package also includes, Safety Alert Seat, Lane Departure Warning, Lane Keep Assist with Lane Departure Warning, Lane Change Alert with Side Blind Zone Alert, Rear Cross-Traffic Alert, Forward Collision Alert, and Surround Vision. 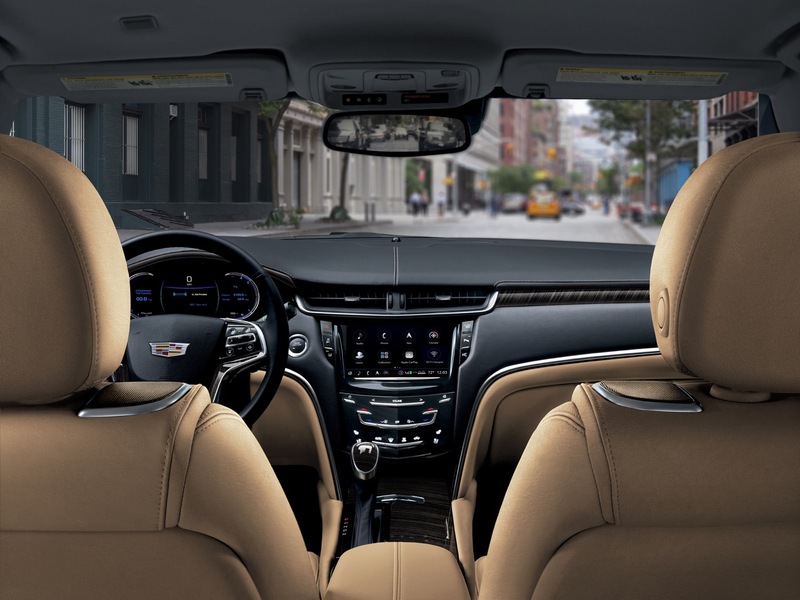 What’s more, the Rear Vision Camera becomes standard on XTS (base) trim level. The 2018 XTS also sees two new colors and a significant amount of changes and updates to its various equipment groups and packages. 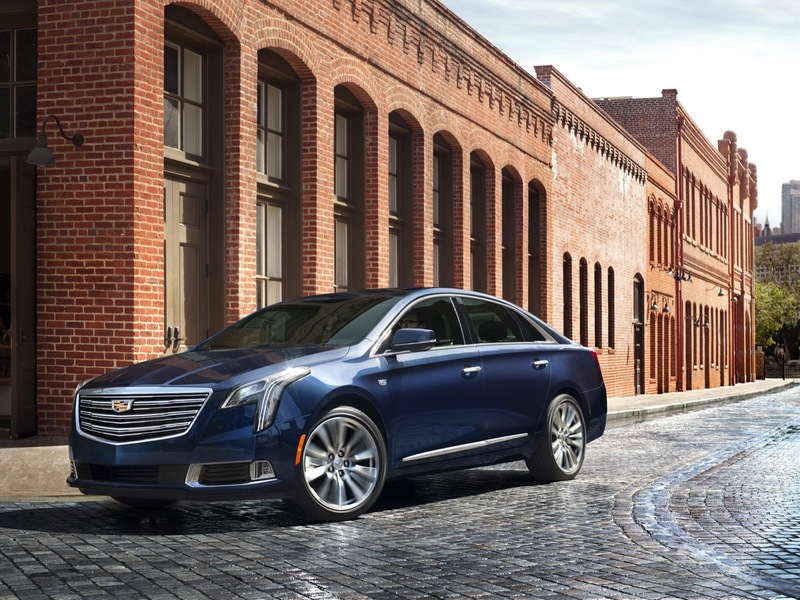 See complete details on these 2018 Cadillac XTS changes and updates. No word on when the 2018 XTS will reach dealers, but it will likely be towards the end of this year ahead of Cadillac’s first all-new vehicle in years: the Cadillac XT4 crossover. The 2018 Cadillac XTS continues to be assembled by GM Canada at the GM Oshawa factory in Oshawa, Ontario, Canada. —Unless these two features are offered at lower trim levels than previous MYs, this isn’t news – Since 2013, the XTS has had both in multiple trims. And sporting? There’s no mention if these features have been significantly re-designed. Equating XTS with any mention of sporting is an oxymoron. The XTS is a luxo-barge; the V-Sport version is just a faster luxo-barge with the same suspension and braking system, albeit a more powerful engine and some badging. I’ve owned a CTS-V and now a Platinum XTS. Sporty? Nah . . . Me thinks not. ” Platinum models will now also feature a suede headliner” This has always been standard on XTS Platinum (Alcantara, used interchangeably with suede) and optional on the Premium trim level. Looks better than before. With the updated suspension and quieter tires and tuning, this will be one comfortable ride. And that is exactly what is meant to be. Great long-distance driver. Um, the XTS already has the smoothest ride anything under S-Class money. If you know of something smoother, let me know, I sure haven’t found one in a present day car. Also, it’d be interesting to experience any increase in ride quality for this refresh, or if it’s just gimmicky marketing speak. If they can bring the XTS to mid 90s Cadillac level smoothness, than that’d be fun, but I suspect not. Lexus LS, Lexus ES and Hyundai Equus (now out of production) come to mind. Lexus ES is a close competitor in ride quality. I don’t know, it’s subjective. I’ll take the XTS for best ride quality under $75k. What about the Lexus ES, Kia Cadenza, K900 or Genesis G90? Maybe it’s the angle that first shot was taken from, maybe it’s the dark color contrasting so strongly with the chrome, maybe it’s me, but the trim around the fog lights creates an unflattering shape unseen anywhere else on this car. It’s like they realized late in the design process that the new headlights created too much negative space and that they would have to fill it with something. The shot from behind just gives me motion sickness. If I had to choose between this and the LaCrosse, it’d be the LaCrosse. As of now, that is the most advanced and appealing FWD sedan GM has to offer! I do, however, like the new XTS’ updated styling: these photos make the CT6/XT5 styling look as if they translated well onto the XTS! Have you driven a 2017 LaCrosse? I was upgraded to an LaCrosse from Avis, I wanted the Continental but it was in use, anyhow. I loved the introduction of the LaCrosse, but after spending a few days with it, um no. It’s not even in the same league as an XTS, sorry. Fit, finish, ride quality, that dumb gear selector, um, just no. I haven’t driven the new LaCrosse, but I did get an up-close and personal look at it during the auto show. From what I saw, compared to the XTS models at the same show, the LaCrosse was very much comparable in terms of quality of materials, features, fit and finish, and infotainment. Minus a few cheap feeling surfaces. I most certainly agree about the gear shifter: not one of GM’s finer decisions! Other than that, I find the LaCrosse to be the better value compared to the XTS. Especially given the fact that GM hasn’t even bothered to offer their newest powertrain tech for the XTS, which puts it at a slight disadvantage compared to the Buick. Which uses GM’s newest 8/9-speed automatic and features the more advanced AWD system. However, I do believe that Cadillac may have established a pretty firm customer base with the XTS, so I’m not really expecting the LaCrosse to greatly cannibalize the XTS’ sales. XTS has been pimped up in sign effort to compete with Continental. For me, Cadillac will always win–great head lights! Continental has a more European stance: more rakish, lower to the ground shrink wrapped stance and appearance which will excite many. Nonetheless, XTS is beautiful with a more composed ride. 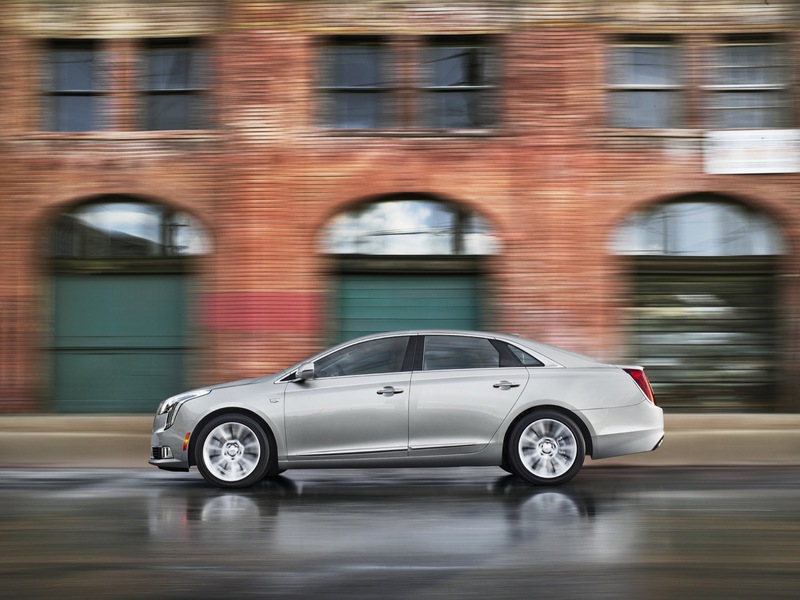 XTS, Regal and Lacrosse prove that FWD can be great. I dislike the current Lacrosse design (ugly) but with that GM would allow Buick to go further upmarket as FWD/AWD luxury like Audi and Lexus while allowing Cadillac to take on the BMW RWD. Cadillac needs a new hi-performance coupe. Not the ATS. Something a bit larger. When are you going to hear us? Something like a Camaro for grownups. They even have the car already – this gen Camaro has been ripping the limbs of it’s competition (and even punching above it’s weight) dynamically. If Buick actually made the Avista or Caddy just stole the Avista from Buick, I’d be pretty happy. Happy enough to go buy one actually. That why I still have my 97 Eldorado. Rides like it on clouds and just enough sportiness. This is what Cadillac needs with a 350 horses. The rear now reminds me of the 06 to 2011 DTS. I believe the FWD is outselling RWD. In luxury cars or economy cars??? It’s a Cadillac – it really ought to have the 9-speed gearbox, and MRC should be fitted to all models as standard. I suppose the thinking at GM is that XTS customers couldn’t care less or know the difference. Looks like Johan de N. deserves some credit for sparing the XTS and seeing it through to this update. Yes we could ask for certain additional tweaks here and there (somewhat stronger base engines, etc), but it looks like this will sell quite well. while continuing Cadillac’s “American luxury” status. Hopefully they’ll advertise the new XTS properly. In China they’ve actually used actor Brad Pitt in commercials to sell the XTS; maybe in the USA he could be Cadillac’s answer to Matthew McConaughey with Lincoln. From spy shots taken of Cadillac’s 2019 CT6, it appears the CT6 will be made to borrow heavily from the Escala concept car while the XTS will be updated to take the place of the CT6; but what Cadillac needs is an entry level CUV and a CUV that will fit between the XT5 and the Escalade. Would I be disappointed if the livery driver picked me up @ JFK in that? No, not at all. Not Daring. Not Great. Just give me a smooth, comfortable ride to the Soho Grand, and I’m sound as a pound. I’d take a Lincoln Continental any day over this. I continue to think XTS is a horribly proportioned car. Having said that, if they’re gonna keep the old relic in the line-up, why is it stilled called the XTS. Aren’t the XT’s supposed to be all crossover utes? This sedan is the XTS but there’s a totally different vehicle with a very similar looking name in the same showroom called XT5. Using XTS and XT5 together will only confuse people. Why isn’t it the CT5? I said the same thing a few month’s ago about the naming of this car. It will probably stick around another 3 or 4 years so why not change the name to the CT naming scheme that Cadillac is so proud of. If you ask me, the entire Cadillac division seems like its in a state of confusion right now. I am sure they will work it out in the next few years but right this moment its almost comical. You mentioned the Continental, I will be the first to admit I was making fun of this car when it was first shown as a concept. Well no more, lincoln has created more waves and excitement with that one model then Cadillac has with its entire current lineup. Question – since the XTS, Impala and Lacrosse are all relatively low volume models, why are they each built at a different assembly plant? Why not just run them down the same line and save some money? Sounds good to me. If they could save some money by production efficiencies they could cut prices and make the XTS more attainable thereby boosting sales and increasing their presence. Looks a little better than the leaked pictures from the other posts. It should have the updated powertrains especially for a luxury brand. Probably won’t be around too long considering it looks similar to the CT6, which will along with future Caddys, be taking cues from the Escala.